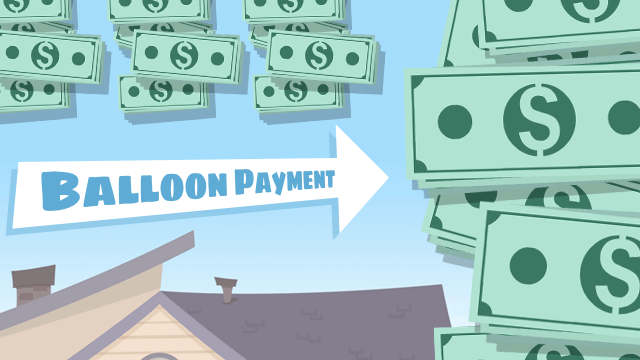 Balloon loans come with large payments that are to be paid at the end of the mortgage term, separate from the mortgage payments made monthly. The larger-than-usual payment to be made usually at the end of a mortgage term or an amortization loan, is called a balloon payment. Lenders are able to lower interest rates and monthly payments by placing a large lump sum final payment on your mortgage. A balloon loan is beneficial for people who can’t afford a huge down payment in order to get the same low rates. However, the decision to enter such a mortgage needs to be thought out carefully; they’re definitely not for everyone. Money savvy borrowers will understand that they’ll have a substantial payment to make at the end of the mortgage. If you’re a serious investor, or the kind of person who is secure with their saving habits, you’ll be taking advantage of the lower monthly payments that come with the loan. Many times, balloon payments are prepackaged into “two-step mortgages,” where the balance takes the form of a mortgage with an entirely new amortization schedule. There is a new interest rate and new terms for what is left of the loan. Many borrowers cannot afford to make such a large payment, in which case they choose to refinance or sell the property.